The large number of points of interest and activities on Curacao make the island a popular holiday destination. The island has something to offer for everyone: visible history, vibrant culture, splendid nightlife, impressive natural sites, extensive shopping, great dive sites and beautiful beaches. Whether it’s your first vacation to Curacao or your fifth (for many people it’s not just once), there is always something new to discover. In order to make it as easy as possible for you, we have made a list of twenty sights and activities on Curacao that you do not want to miss out on. It might be a bit much to do all activities on the list in one holiday, but fortunately you don’t have to. In fact, it’s a great reason to come back soon! If you have ever seen photos of Curacao, you most likely have seen the pontoon bridge (which is actually called the Queen Emma Bridge). 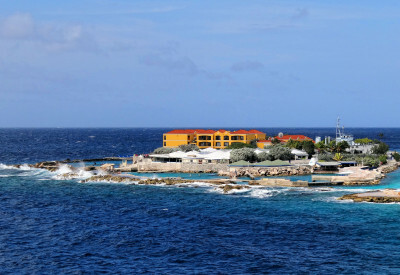 It is one of the most famous and popular attractions of Curacao. 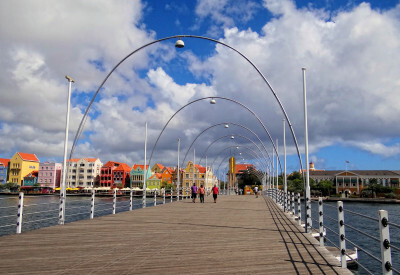 The floating pontoon bridge connects two districts – Punda and Otrobanda – of Willemstad, the capital of Curacao. The pontoon bridge opens several times per day to let ships pass, and this is done in quite a unique way. The pontoon bridge gets moved entirely to one side of the canal, placing it sideways. This is amazing to see and won’t bother you at all; when the bridge is open, you can use a free ferry to cross the water. A vacation to a tropical island is not complete without unwinding on one of many beautiful beaches. 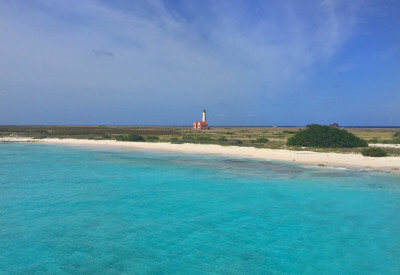 The ABC islands are known for their beaches, and Curacao is no exception. With more than 35 terrific beaches to choose from, you might even have a hard time making a choice. Because of the mostly unspoiled nature, each beach is different and unique. For thrill seekers there is a beach called Playa Forti, where you can jump off a ten meter high cliff into the clear water below. This is located in West Point, where some of the best beaches of Curacao are located. If you prefer to relax on the private beach of your hotel, we would like to invite you to Avila Beach Hotel. 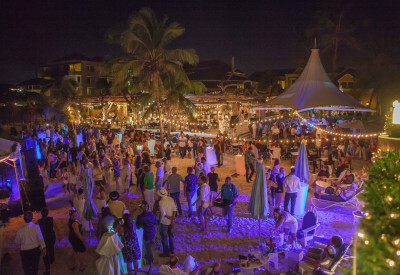 The vibrant culture of Curacao is reflected in the large number of different events being organized. Think of sports, concerts, special dinners and weekly happy hours to celebrate life and the day. One event in particular should be mentioned here: Carnival. If you happen to be on Curacao in February, this is an event you should not miss. Don’t worry, it’s practically impossible to do so. The entire island an all its inhabitants turn into one big colorful celebration and everyone’s invited. One of the most famous music events on Curacao is the North Sea Jazz Festival. This three-day festival has been around for decades and continues to outdo itself with well-known names and new talent. The Avila Hotel organizes weekly music events and special events. To see what’s on the schedule, you can take a look at our calendar. 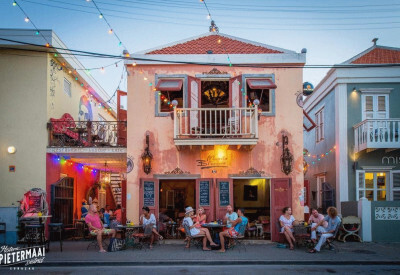 Pietermaai is one of the most versatile and colorful neighborhoods of Curacao. The area is filled with cafes, restaurants, small shops and nightlife. Pietermaai is where artists, business people, youth and elderly, tourists and music lovers meet. This mixture of people fits perfectly with the current state of the buildings in Pietermaai: not everything is perfect, but that’s what makes it such a special place. 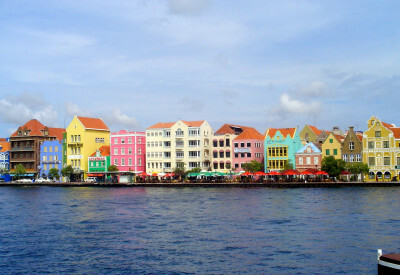 When walking around Willemstad, you can’t help but notice the very distinct and colorful Handelskade. Go here for a stroll, take a seat on one of the terraces and have a refreshing drink while enjoying the view. The colorful buildings on the Handelskade characterize the island. It is not a coincidence that so many postcards on Curacao have the Handelskade printed on them. From the nearby pontoon bridge or the other side of the water (Otrobanda) you have a great view of the Handelskade. It is highly recommended to also be here when its dark; the pontoon bridge and the Handelskade are colorfully illuminated, creating a beautiful setting. The tugboat is the most famous diving and snorkeling location of Curacao. Located merely five meters below the surface (which makes it very suitable for snorkelers) is a small tugboat that once accidentally sank. Nowadays the tugboat is used by many different fish for shelter and a home. You can reach the tugboat by boat, but it is also easily accessible from the nearby beach. This makes it an excellent diving spot for divers of any skill level. If you feel like going into the wild during your vacation on Curacao, Shete Boka is the place to go. This natural park of over 200 hectares has a coastline of ten kilometers. The coastline consists of seven coves/bays (which is the translation of Shete Boka) where sea turtles come ashore to lay their eggs. 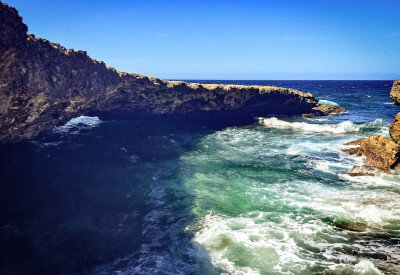 There are several hiking trails that lead you along the most beautiful spots, such as the natural bridge of Curacao or Boka Tabla; a cave where waves come crashing down inside a cave. 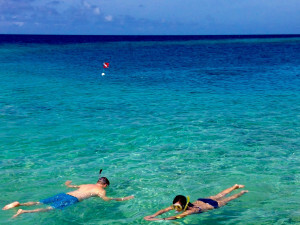 A day trip to Klein Curacao is an absolute must for every enthusiast of the sea and beaches. The Klein Curacao beach is so white it almost hurts your eyes, in a good way. The water is so clear and blue that you can spot sea turtles from afar while snorkeling. On Klein Curacao there are no roads, shops or restaurants and no one lives there. At the center of the island, you will find a lighthouse which you can enter all the way to the top. This gives you a nice view of Klein Curacao, the surrounding ocean and a shipwreck that has washed ashore in the distance. 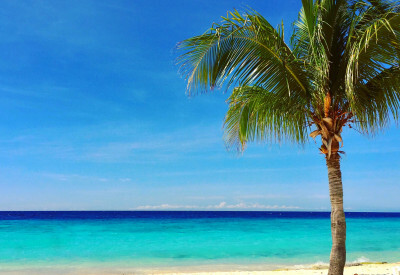 Klein Curacao does not have much more to offer than sun, sea and absolute peace and tranquility. What more could you possibly want? Daily boat trips leave early in the morning from Curacao to Klein Curacao. In most cases you will be back on Curacao by the end of the afternoon. The Blue Room is a unique experience for anyone who isn’t afraid to get wet. The entrance to this hidden cave is located slightly below sea level, which means you will have to swim underwater to enter. Once inside, the blue water reflects the sunlight on the walls and ceiling – a truly magical effect. 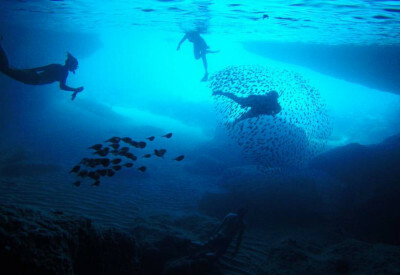 It is recommended to bring snorkel gear because of the fairytale-like underwater world inside the Blue Room. To get to the Blue Room you can hike, canoe, or take a water taxi. The Christoffel Mountain on Curacao is the highest point (372 meters), and you can climb it all the way to the top. This offers you a great view of the surrounding natural park – on clear days you can see the whole of Curacao. 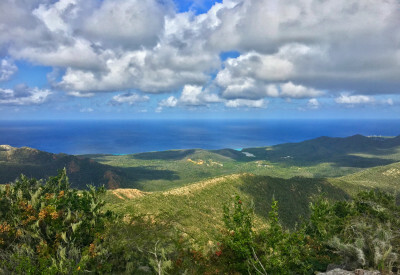 The Christoffel Mountain is located in a natural park which provides a colorful and diverse environment, especially when climbing up or going down the mountain. The climb to the top of the Christoffel Mountain is a Curacao must do, and generally considered to be quite intense. It is not suitable for people who have difficulty walking. It is not just a hike. It is strongly recommended to start the climb early in the morning because it gets too hot during the afternoon. Don’t forget to swap your flip flops for a pair of solid shoes either! Dolphin Academy Curacao has trained their dolphins to swim with people, even in the wild. For many people, this is one of the reasons to go to Curacao and they cherish the experience forever. To swim with dolphins in the wild, you need a diver’s certificate. However, if you prefer to stay in the natural lagoon you can swim with the dolphins without a diving certificate. Under the supervision of professional trainers you will be introduced to one of the most special species in the world. The ocean that surrounds Curacao is filled with life. 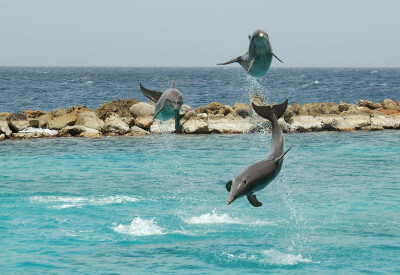 If you make a boat trip (to Klein Curacao, for example), you could even spot dolphins in the wild if you get lucky. The Curacao Sea Aquarium is the place to go to for anyone with an interest in the sea and its inhabitants. 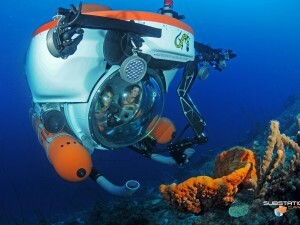 The Curacao Sea Aquarium is unique and internationally known because all the tanks are in direct contact with the surrounding ocean. This creates an environment that’s as natural as possible – this is done without artificial aids. A visit to the Curacao Sea Aquarium is not just for entertainment, it is also very educational for both children and adults. In an interactive way, you will learn more about dolphins, sharks, rays, turtles and other marine life. Above all, the Curacao Sea Aquarium aims to raise awareness of our responsibility when it comes to keeping a healthy ocean. A bottle of Blue Curacao is a very popular souvenir to take home from Curacao. Whether it’s for yourself or someone back home: you can’t go wrong with Blue Curacao. The blue liqueur is famous internationally. Blue Curacao is produced in Landhuis Chobolobo, where you are more than welcome to come and see how the drink gets made. The guided tour, which lasts about an hour, ends with – what else could it be – a tasting! 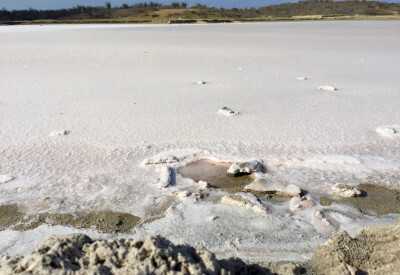 Between Sea Aquarium Beach and Jan Thiel Beach lies a very special natural park: the salt pans of Jan Thiel. The salt pans used to be a very important salt plantation for Curacao. These days, the area is great for hiking, jogging or cycling. The salt lake attracts many flamingos, which is just one of many species you might come across here. When hiking on Curacao, it is generally recommended to do so early in the morning because of the heat in the afternoon. 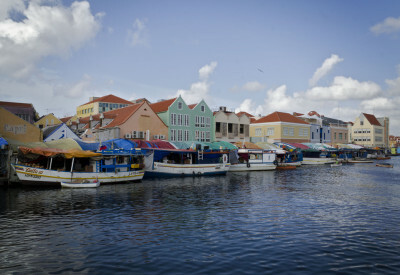 The Floating Market is a special market on Curacao. Although nowadays most stalls are set up on the dock, the Floating Market owes its name to the fact that almost all products come from Venezuela by boat. Fruit, vegetables and fish are the most sold products at the Floating Market. The Floating Market is usually a very lively place with lots of things going on. People often buy products without leaving their car, so traffic is anything but smooth here. Another interesting thing to notice while you’re at the Floating Market is the many different language that are spoken. People communicate in English, Papiamento, Dutch and Spanish – often it’s a mixture of these languages. The Floating Market takes place in Willemstad, the capital of Curacao, so if you are near, it is definitely worth taking a look. 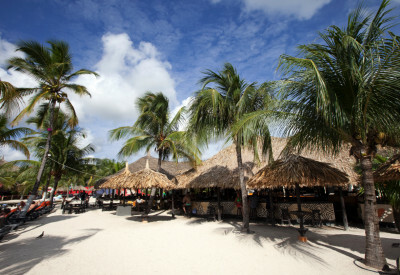 Anyone who has ever been to Curacao knows Mambo Beach, and that is not without reason. This centrally located beach is the place to go for many people. The Mambo Boulevard is more than just a beach; there are restaurants, shops, a Dutch snack bar and great bars right on the beach. Mambo Beach is fully packed during the weekly happy hour – it’s one of the best ways to end the week and celebrate the weekend. 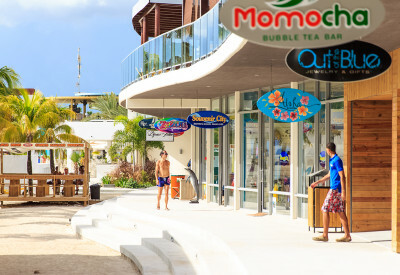 Mambo Boulevard connects the Lions Dive Resort, Mambo Beach and Cabana Beach – this makes for the perfect place to go for a stroll and take a refreshing dive in between. 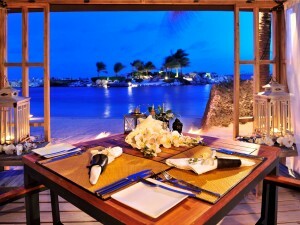 The cozy beach restaurant Zanzibar is located on Jan Thiel Beach. Here you can enjoy breakfast, lunch and dinner throughout the day. There are very comfortable chairs and lounge beds on the beach. Numerous palm trees provide plenty of shade for those that want to get out of direct sunlight for a bit. Don't miss the happy hour on Saturdays. In short: Zanzibar provides everything you need to have a relaxing day on the beach. 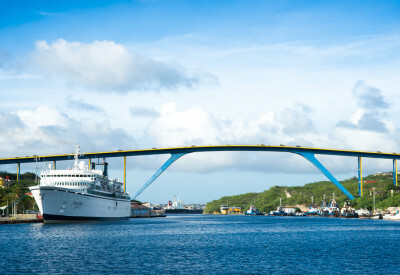 The Curacao Juliana Bridge lies parallel to the pontoon bridge in Willemstad. The difference is that the Juliana Bridge is 56 meters high and built for traffic. The bridge is high enough for almost any ship (except for the largest cruise ships in the world) to pass underneath. If you rent a car during your stay on Curacao (which is recommended), you don’t want to miss out on the beautiful view the Juliana Bridge gives. You can see Willemstad, the pontoon bridge, the ocean and so much more. It is a view you won’t forget. 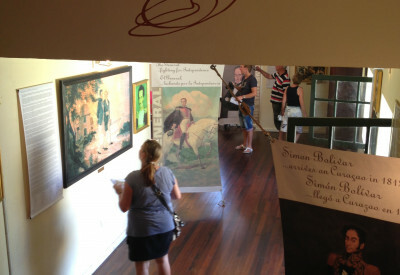 The rich history and culture of Curacao is exhibited in various museums. In many cases the museum is an old building with a significant history, such as the Octagon. The famous Venezuelan freedom fighter Simón Bolívar stayed here for a few months to prepare for the final battle against the Spanish colonial rule in South America. Nowadays the Octagon is a small museum with a very visible and almost tangible history. The most famous museum on Curacao might be the Seaquarium, where enthusiasts of the sea and its magnificent creatures go to be amazed. The oldest museum on the island is the Curacao Museum. All kinds of objects from the 18th to the 21st century are preserved and exhibited here. 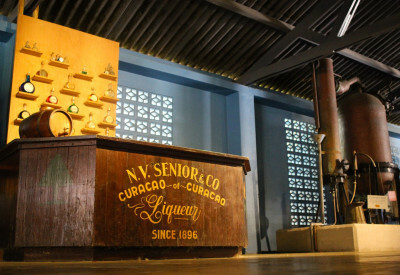 The Curacao Museum is much like a time capsule; there is art, traditional Curacao furniture and the cockpit of the first KLM plane that flew from The Netherlands to Curacao. 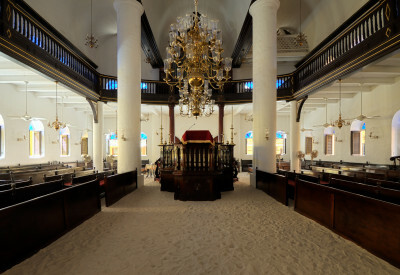 The Mikve-Israel-Emanuel Synagogue is the oldest synagogue in the Caribbean and South America. The synagogue is exemplary of the Jewish community in Curacao. The synagogue is well-kept and still in use – tourists are welcome outside of service hours. What makes this synagogue unique is that it attracts visitors from all over the world and is has sand over the entire floor. A true must see, especially if you have a special connection with the Jewish history.